Like the instant classic The Last American Man, Fearless is the story of a remarkable individual who accepts no personal limits—including fear. Freya Hoffmeister, a forty-six-year-old former sky diver, gymnast, marksman, and Miss Germany contestant, left her twelve-year-old son behind to paddle alone and unsupported around Australia—a year-long adventure that virtually every expert guaranteed would get her killed. 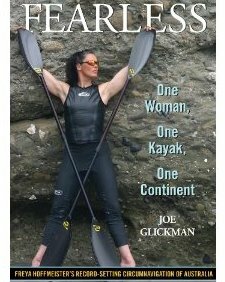 She planned not only to survive the 9,420-mile trip through huge, shark-infested seas, but to do it faster than the only other paddler who did it twenty seven years earlier.